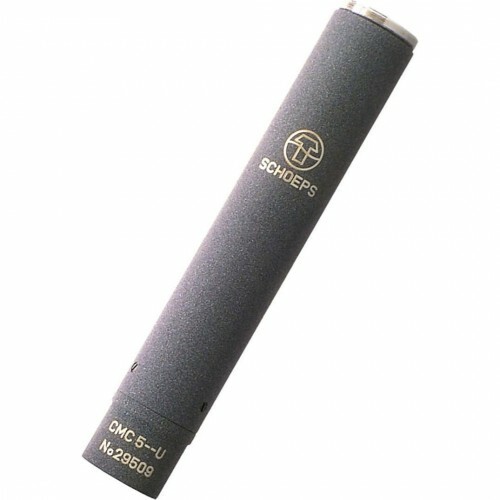 Although the CMC 5 Vintage U has a more modern successor (the CMC 6 U), some people place a special value on its discrete circuitry, or require an exact match for an existing microphone amplifier of this same type. The CMC 5 Vintage U is designed exclusively for 48-Volt phantom powering. The capsules of SCHOEPS cannot be connected directly to microphone cables or inputs; a microphone amplifier is required in between. Thus a complete microphone of the Colette series comprises any of the twenty-one available types of capsules combined with an amplifier.